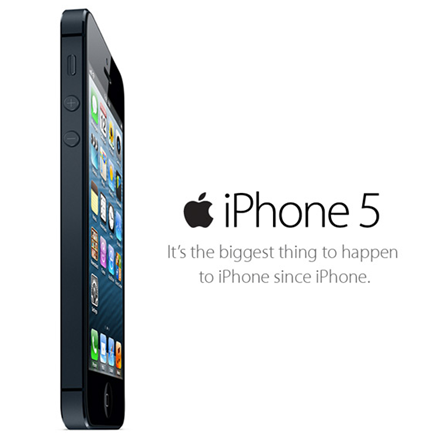 Manila, Philippines - Two of the major wireless service providers in the Philippines, Smart and Globe announced the launch date and gadget party for the unveiling of Apple's biggest thing "the iPhone 5". The clash between two telcos become stiffer as both of them have the exclusive rights for the release of iPhone 5 in the Philippines. Double the fun on #SmartiPhone5 launch and Christmas Midnight Rush on December 13 at Resorts World Manila. Celebrities, bloggers and geeks are expected to fill the venue. Last year when Smart unveiled the iPhone 4S, grandest party at Rockwell Mall, Makati was experienced. Will the iPhone 5 launch be the same? I'll expect so. Globe on the other hand will have it's launch at New Glorietta Vibe. Feel the new re-energized Glorietta with the unveiling of #GlobeiPhone5. We may expect Globe party to be fair also. Be the first to unbox the gadget on December 13. Hope you'll win at the rapple or give-away from Smart or Globe. Gotcha! On December 14, iPhone 5 will be officially out for the public. Globe and Smart already accepting pre-orders via their official website. But, the major question now is where you will get your iPhone 5, Smart or Globe? TheSummitExpress wants you to think it twice since it's better to put your hard-earned money on the right investment. There are major factors for the selection process such as price and reliability of the network. 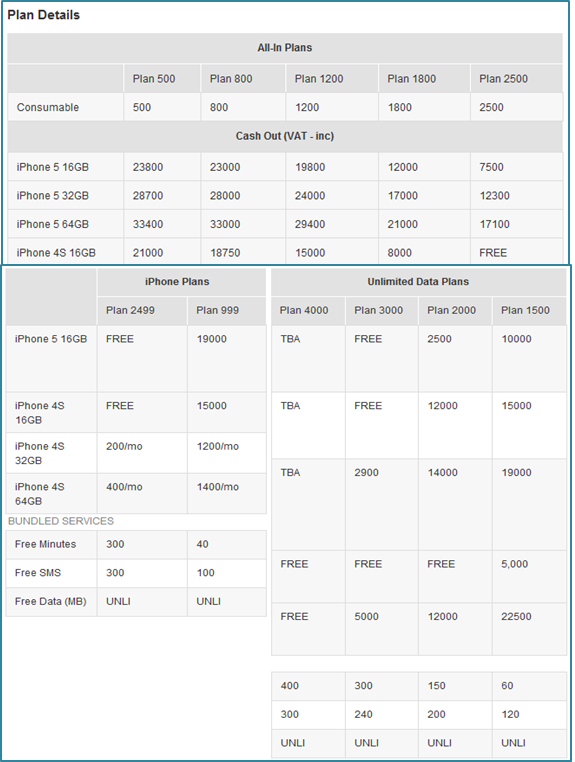 For those who are in budget and price conscious here is the comparison of customized plans of Smart and Globe. Smart offers iPhone 5 for Prepaid at lower price than Globe for 16GB, 32GB and 64GB capacity. For as low as P33, 600 iPhone 5 is yours thru Smart Prepaid. Smart has three postpaid plans- iPhone Plan, All-in Plans and Unli Data Plans while Globe has a more complex plans to choose from. One of the features of iPhone5 that everybody is waiting for is it's LTE capability. On January 29,2013, Apple announces update on iOS version 6.1 that enable LTE capability for Smart and Globe LTE. Smart being the most experienced LTE operator in Philippines and in Asia supports multi-band frequencies- 1800 and 2100 bands. Smart at the time of writing has a metrowide coverage of LTE (over 300 base stations in Metro Manila) while Globe takes spot only in Makati area. So, if you want to be flexible on your phone and planning to get LTE plan, TheSummitExpress advises that you get iPhone 5 from Smart. We've heard that nation widest coverage of LTE will take matter by first quarter of 2013. More than 1500 LTE base stations will fire up. Another consideration is the reliability of the network. Smart says that network modernization already finished on the second quarter of the year with good results of NTC benchmarking tests conducted on Q2 and Q3 2012. Globe however is not yet finished on their modernization. In Metro Manila, Globe experience network glitch, dropped calls and delayed text messages more often than Smart. NTC says that Smart bested over Globe in all network parameters for 2012 various tests. Smart also have more subscriber base than Globe taking leadership in both prepaid and postpaid. Combined subs count of PLDT wireless arms is now around 80 million while Globe has 32.1 million subs. To learn more about Smart iPhone 5 offer, click here. To learn more about Globe iPhone 5 offer, click here. For the iPhone 5 official release in the Philippines, it's better to choose the best network. You don't have to be genius to live more, be smart on your choice.